Cyber Monday is traditionally the day in which consumers kick-off the holiday buying season with online purchases. 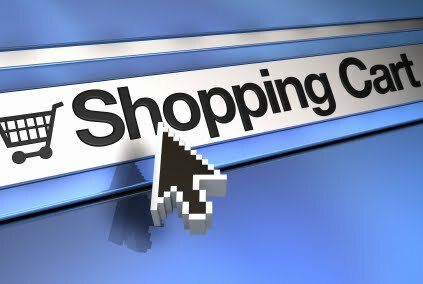 Cyber Monday however may become Cyber Weekend 2011, as Kenneth C. Wisnefski, founder and CEO of WebiMax announced “online retailers and merchants have largely invested in E-commerce, online ads and ramping up their website infrastructure in 2011. We’re seeing these merchants committed to making it a weekend-long buying experience versus confining the mad-dash to just one day”. A year ago, Thanksgiving Day online sales rose 14% and Black Friday online sales were also up 15.9% over 2009. Cyber Monday saw an increase year-over-year but not nearly as dramatic as online sales stretching over the weekend. Is Cyber Monday becoming a weekend-long buying experience? “Last year alone, we saw a significant increase in online purchases during the holiday season”, states Wisnefski, who leads WebiMax as the top rated search engine marketing and E-commerce solutions firm. “Considering the fact that businesses are increasing their online advertising 29% through 2011 and devoting an average of 14% more resources on E-commerce solutions, I expect online buying to start on Thanksgiving Day and extend through the end of ‘Cyber’ Monday. I also expect online merchants to offer weekend-long deals”. The proof is in the pudding when Google recently posted a 33% Q3 revenue spike, 23% of which was due to online ad-spending. WebiMax, who maintains roughly 100 E-commerce clients, also reported revenue is up 400% over 2010 in large part due to companies investing more resources into search engine marketing, E-commerce and improving website infrastructure to handle increased traffic. In mid-September retailer Target, Inc. experienced a website catastrophe when their website crashed because they could not handle the amount of traffic stemming from huge demand to buy Italian designer apparel. Companies have learned from this and have devoted more resources to improving their website infrastructure to handle increased traffic during the 2011 holiday buying season. “Given the statistics and interacting with representatives of major online retailers, I expect Cyber Monday to be a part of the past while ‘Cyber Weekend’ is the more appropriate term. Furthermore, 2011 is set to be one of the most successful online buying years that we have ever seen”, concludes Wisnefski.